First Shah Rukh Khan did it with Chennai Express. Then Hrithik Roshan swooped in and made off with the collections for Krrish 3. Next it was Aamir Khan who created dhoom at the box office. 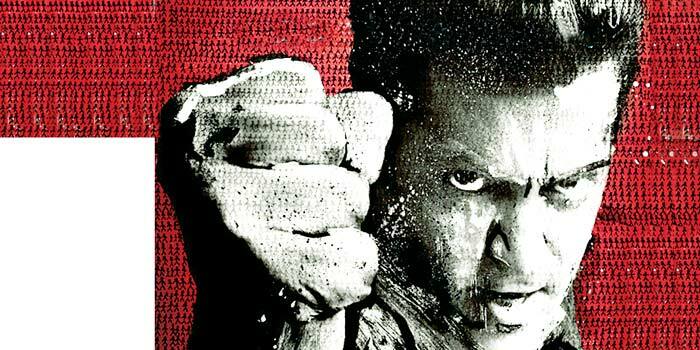 Now ita��s the turn of the third Khan: Big Boss Salman bursts into theatres today with his patriotic cry, Jai Ho. Will box office history be re-written once again? This remake of the Telugu hit Stalin is helmed by Salmana��s brother Sohail Khan, with an ensemble cast of co-stars ranging from the relatively unknown Daisy Shah and Sana Khan, to the established Tabu and Suniel Shetty. Salman plays Jai, an upright, honest man fighting against corruption and injustice. The idea of paying it forwarda��as captured in the Kevin Spacey, Haley Joel Osment filma��seems to be the basis for Jaia��s ideology. But all this goes awry when Jai and a powerful politician come to loggerheads. Leta��s see if Jai Ho can do for Sohail what Dabangg 2 did for the other brother, director Arbaaz Khan. Imtiaz Ali and collaborator A R Rahman came up with a soulful soundtrack for Rockstar. Naturally, anticipation is high for their next venture, Highway. Promoting the album recently, the team announced that lead actor Alia Bhatt had rendered the lullaby, Sooha Saha, for the film, accompanied by Pakistani singer Zeb Bangash. The film is about a kidnapper (played by Randeep Hooda) and his victim (Bhatt) and their journey through six states of northern India. Rahman heard a recording demo by Bhatt and was impressed enough to agree to let her tape a stanza of the song in her own voice. After playing a cutesy, immature studenta��glammed up to the gills in designer togsa��in her debut, Student of the Year, Bhatt has much to prove with the de-glam Highway. 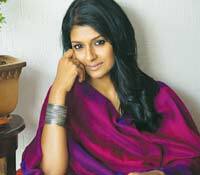 While working on the Spanish film, Traces of Sandalwood, Nandita Das has picked up a smattering of the language. The words and phrases are mainly those she hears the Spanish crew using regularly. But now that Das and husband Subodh Maskara, who also makes his feature film debut with this movie, are shooting for the same film in Spain, they may just pick up a few more useful phrases. Incidentally, the real-life couple plays an onscreen couple in this film, which is based on a novel by the same name written by Anna Soler-Pont and Asha Miro. Directed by Maria Ripoll, ita��s the story of a Bollywood stara��s search for her long-lost sister. Thirty years after a successful actress in Mumbai was forcibly separated from her sister, she finds out that her sister is alive and well in Barcelona, but she is now called Paula (played by Aina Clotet) and has no recollection of her Indian roots. When faced by her sister, Paulaa��s journey of self-discovery begins. After making his name with the critically-acclaimed Samsara, Paris-based Indian filmmaker Pan Nalin has transitioned to mainstream Hindi cinema with Angry Indian Goddesses. 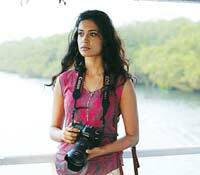 Described as a coming-of-age film, it features an ensemble cast including Adil Hussain, Tannishtha Chatterjee, Sandhya Mridul, Anushka Manchanda, Sarah-Jane Dias and Amrit Maghera. Nalin describes the Goa-set film about seven women from different walks of life as a a�?light-hearted female buddy filma�? that deals with contemporary issues related to women. The Hindi-English bilingual collates a rather curious cast, with serious actors like Chatterjee and Hussain on one hand, and models and singers turned actresses (Maghera and Dias) on the other. Nalina��s last work was the documentary Faith Connections, which tracks five stories during the Kumbh Mela.